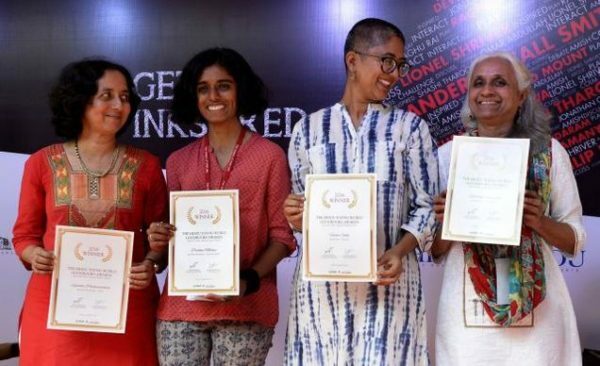 The Hindu Young World-Goodbooks Awards 2016, the first Indian awards to promote excellence in Indian children’s books, were presented here on Friday. Sujatha Padmanabhan received the best picture book- story award for ‘Bumboo…The Donkey who would not budge’, published by Eklavya, 2015. Venita Coelho received the award for the best book- fiction for ‘Dead as a Dodo,’ published by Hachette, 2015. “A smart, witty, fast-paced novel about saving the Earth and animals from the reckless greed of human beings,” said the jury comprising Manjula Padmanabhan, Jai Arjun Singh and Anil Menon in the citation. Vishakha Chanchani emerged the winner in the best book-non-fiction category for ‘The house that Sonabai built,’ published by Tulika, 2014. The book is about a remarkable woman who began experimenting with clay to create toys for her little son. “A heart warming and significant book about life, art and above all hope,” the citation read. Goodbooks, a website for Indian children’s books, is supported by Wipro Applying Thought in Schools, Wipro’s social initiative in education.